[Exclusive] MISS UNIVERSE should learn usage of social media from MISS WORLD. 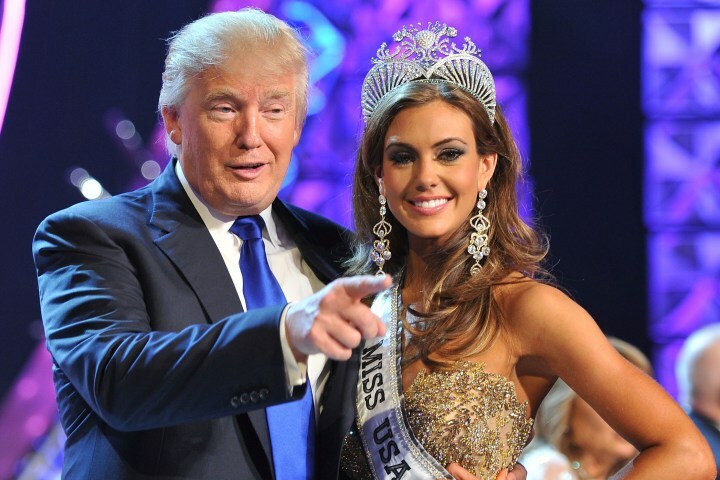 Recently after the controversy surrounding Donald Trump and the consequences of his comments on the pageant, it is said that Miss Universe pageant may be seeing it’s last years. We do not believe that. We feel Miss Universe will rise up and move ahead stronger. They can learn a lesson or two from Miss World pageant, when it comes to effective marketing, more specifically digital marketing. The Facebook messages of Rolene Strauss play a big role in establishing a positive image about her. Miss World Rolene Strauss is regularly updating her Facebook page with latest pictures and also her thoughts. Her thoughts are often very positive and influential. The messages create a very good vibe for the whole page and of course, the lovely smile of Rolene adds more power to it. It is a pleasure to follow her. On the other hand, Paulina Vega just updates her pictures and links from other pages about her. She is not interacting much with her fans. If she starts sharing some good messages on her Facebook, her impression among the fans will become positive and she will garner more acceptance. This will benefit Miss Universe Organization too. In fact, Miss Universe Organization can go ahead and help her in this matter since it really affects their image as well. India’s Navneet Dhillon took first place in the Multimedia Award in 2013. Since 2012, Miss World has introduced Miss Multimedia fast-track contest where in all the girls are given social media pages to handle and their interactions with fans are observed on the same. The girls are supposed to update about their activities and use the social media in a positive way. As a result, there is a lot of information about Miss World pageant in social media when the contest is happening and even afterwords. The fans get to know more about the contestants as they follow their pages and talk to them. The promotion of the pageant and the girls is accelerated because of this. On the other hand, this is not done in Miss Universe. Often the winners of National Costume Round are chosen via Twitter, but really that is just 5 girls. The promotion through pages that Miss World does is way more powerful and effective as it ensures consistency. “Meet the Contestants” section keeps the fans updated about the contestants in the coming edition of Miss World. The Miss World page is up to date with information about the national winners. You get to see their pictures and know more about them. In fact, the page even shares information about national pageants – about the finals and the contestants. This is not done by Miss Universe. On one hand, Miss World empowers their girl, the other hand Miss Universe, Donald Trump, degrades their girl by calling ‘Hypocrite’. Birthdays, fashion photos and even achievements of past contestants are appreciated on the page. Today Miss World page has a post about Miss World Cyprus 2013 Kristy Agapiou who graduated with a degree in nutrition. This is quite a sweet gesture. Miss Universe can start doing this, it will show that they are also interested in their delegates even after the competition is over. Miss World dairy on official website provides good information about activities of the winner. Ok, now Miss Universe page also keeps an update on the activities of Paulina Vega. But there is a difference. Miss World page shares links to the website in which the activities of Rolene are blogged in details. That is not the case with Miss Universe. One more point to note is that Miss World social media is updated more frequently (almost daily) and consistently when compared to Miss Universe social media pages. We have to conclude that Miss World pageant has definitely shown a smart move by embracing effective social media marketing skills and Miss Universe pageant will benefit a lot if they do the same. Also read our Popular Article: Miss Universe v/s Miss World.